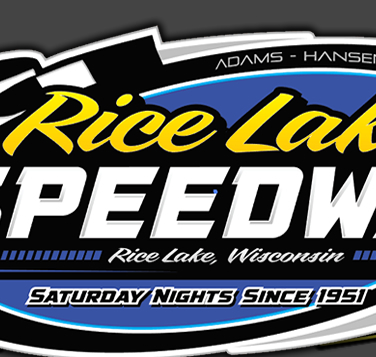 RICE LAKE, WI (August 9) - Fifth year Super Stock driver Bart Steffen of Eau Claire won his first ever feature race to highlight Hall of Fame night Saturday at the Rice Lake Speedway. Other winners Saturday included Mark Hessler, Ryan Viltz, Sam Fankhauser and Darwin Brown while the two make up features that were completed after having been rained out two weeks ago went to Kevin Adams and Cody Kummer. Steffen drove a whale of a race to top the field in a highly competitive Super Stock feature that saw three different leaders during the twenty lap main. Steffen started on the outside of row two and it wasn’t until the second half of the race that he became the third different leader of the event and would eventually go on to record the memorable win. Darrel Hazelton was the early leader of the race as he fought off Steffen and Eric Olson in the early going. Meanwhile, Curt Myers was on the move from row four and after he moved to the cushion, Myers really picked up the pace, passing car after car as he charged to the front. The leaders went three wide with Myers blowing by on the high side for the lead and Steffen using the low side to race into second with Olson chasing. However, Steffen continued to run his line and he began to reel back in Myers who was working the high side. On lap nine, a spin bunched the field and on the restart Myers attempted to run the inside line. However, that move failed and Curt came sliding up the track which opened the door to Steffen who charged by and took over the lead. Olson followed him through and took over second with Myers then moving back to the cushion. Olson was all over Steffen looking for an opening but Bart continued to hold his line and not make a mistake as Myers continued to work the high side. Olson made one late charge as he tried to nose under Steffen, but once again Bart maintained his line and drove home for the memorable win with a car length on Olson and Myers another length in arrears. Jason Forehand held on the fourth spot as he edged out Willie Johnsen Jr for the position. Point leader Hessler put another feather in his hat as he won the nonstop Modified feature race after opening up a big early lead and then holding off Matt Leer and Kevin Adams for the win. Hessler wasted little time in moving from the second row quickly to find an opening on the low side of the track and burst past Scott Miller to take the lead. Once in front, Hessler quickly put some distance on the field before Leer found the top groove and started to move up. Adams started in the fourth row and when he finally maneuvered to the top side also, he began a charge toward the front, blowing past Zach Drews and Steve Hallquist and closing on Leer. Hessler was way out front as Adams started the first of many attempts to get past Leer, but Matt was able to withstand all Adams’ attempts. But they seemed to help each other pick up the pace and as Hessler worked through traffic, they began to significantly cut the distance. Mark was able to work past two lapped cars with just a couple of laps left, and that was enough edge to hold off the duo chasing him as he won his second feature of the year at Rice Lake. Leer withstood a last lap charge by Adams to take second with Mike Anderson and Cory Mahder completing the top five. Earlier, Adams put on a charge as he drove from the third row to win the make up feature, which was originally scheduled for the July 26th program. Steve Hallquist got the jump on Leer in that event and led for a number of laps until Adams was able to drive past him on the high side. Once in front, Adams was able to maintain his advantage in a race stopped only once, before a lap was completed. Hallquist hung tough, stayed within a couple car lengths of the leader and recorded a solid second place finish with Mahder charging after him at the end. Leer and Dave Baxter completed the top five in that event. Viltz withstood all kinds of pressure from Nick Koehler to record his fourth feature win of the year. Josh Wahlstrom was the early leader but Viltz went to the high side of the track and drove from the third row into an early lead as challenger Travis Anderson spun out of contention. Viltz continued to lead while Koehler found his way into second from the fourth row and then began to apply pressure to the leader. Several times he nosed under Viltz but Ryan was able to fight him off but Koehler persisted and continued the challenge. Viltz was just as determined not to turn over the lead and while Koehler tried his best, Viltz hung on for the win with Koehler on his rear bumper. Point leader Shane Halopka drove up to a solid third but ran out of time to catch the leaders with Tito Viltz and Mike Schnider rounding out the top five. Fankhauser charged up from the third row using the high side to grab the lead and then hold off several challengers to record his fourth feature win of the year. Chris Peterson took the early lead away from Troy Chaplin to show the way in the early going as challenger Jay Kesan fell victim to a flat tire as the leaders raced in heavy traffic. Fankhauser quickly moved to the outside line and was able to drive past cars as he soon found himself beside Peterson and with a burst of power, he drove into the lead. Cody Kummer followed his line and also drove past Peterson for second. As the last ten laps of the race remained under the green, Fankhauser began to pull away from the field. Peterson picked up the pace again and was able to drive past Kummer to claim the second spot while Kummer settled for third with Ron Hanestad and Simon Wahlstrom next in line. n the Street Stock make up from July 26th, Kummer used the same high side maneuver to better use as he swept past Kolby Kiehl and then drove away from the field for his second win of 2014 at Rice Lake. Hanestad again fought his way through the pack and came from the fourth row to claim second over Simon Wahlstrom. Kiehl settled for fourth and Wayne Engen earned his first top five finish of the year. It took Darwin Brown only two weeks to win his first Pure Stock feature race of the year. After last week’s first appearance of the year resulted in a second place finish, he did that one better this week as he took home the Pure Stock honors. Brent Miller was the early leader of the race and despite lots of smoke coming from his car, he was setting a fast pace. As he likes to do, Brown moved to the top side of the track and swept past challengers Rob Grabon and John Erickson and closed on Miller. Continuing his high side charge, he rode to the outside of Miller and drove into the lead off turn four. As Brown began to edge away from the pack, Hunter Van Gilder was making a determined charge from midpack and with just a couple of laps left, he was able to drive past Miller and take over second. The race remained under the green the rest of the way and Brown motored on for the win with Van Gilder finishing second. Miller’s third place finish was his best yet with Grabon and Erickson, in his new ride, completing the top five. 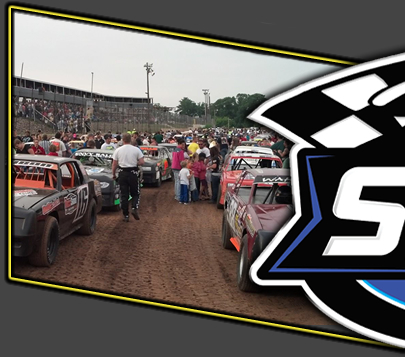 Next Saturday, August 16th, will see the final time to earn track points for the 2014 racing season and at the conclusion of the evening, five point champions will be determined. Also on Saturday, the twice postponed bike races for kids and big kids will be held at intermission. 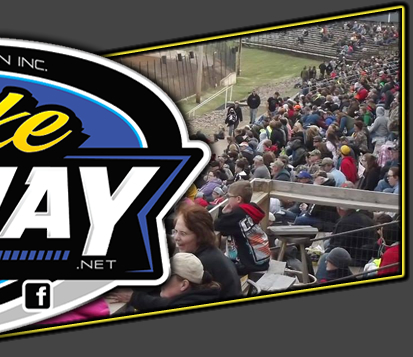 August 23rd finds Season Championship races being held and the season concludes on August 30th with a one day special featuring an expanded purse, a fan appreciation night with door prizes, a hog roast and music to wrap up the night.